How to buy a good branded new notebook for only RM899 ! 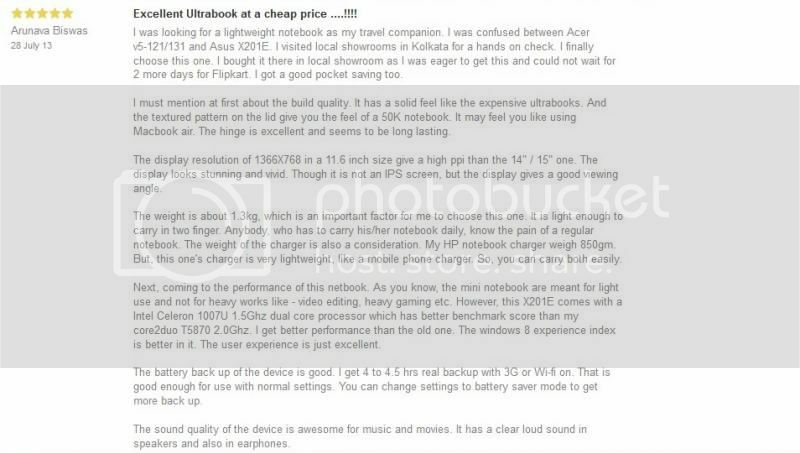 Buying a new laptop is quite a headache at times because there are many "sifu" who will give you difference opinions. 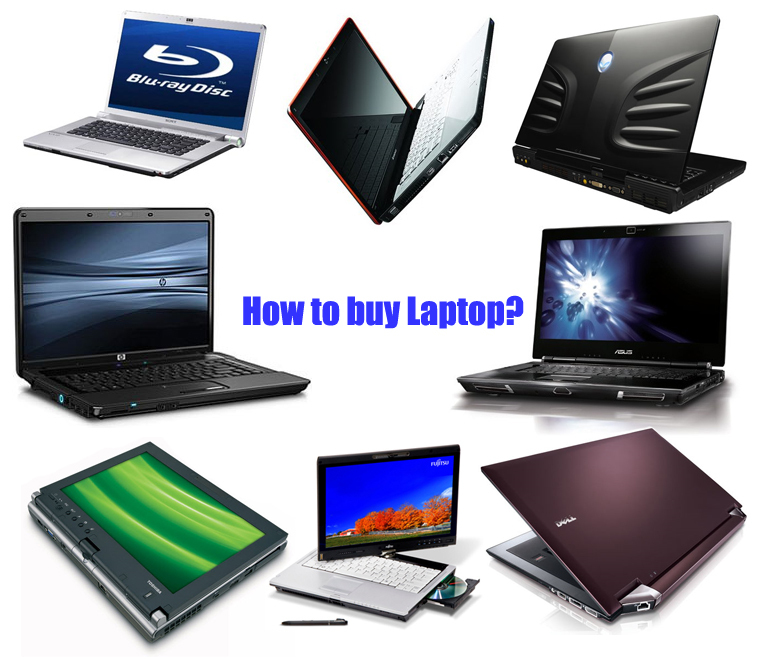 Many who can afford ended up purchasing a higher price laptop just to "play safe". The question, Do you really need to buy an expensive one? Of late when i started doing servicing for laptops and pcs, i came across many users who use their laptop only for internet surfing, Facebooking, watching online drama and You Tube download. Some students may use it for light gaming, Microsoft office and Adobe photoshop. 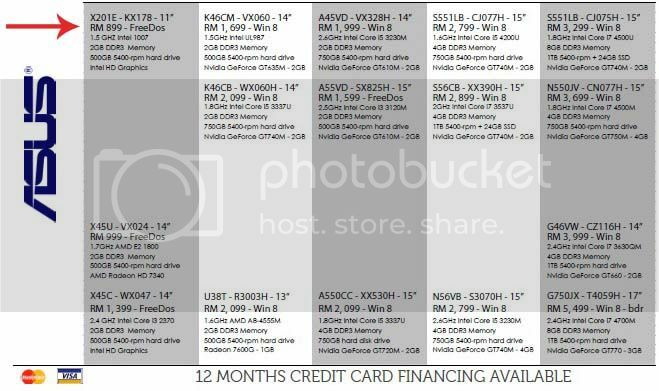 I would like to share my experience here on how i normally buy a new laptop less than Rm1000 that can perform all the above tasks. First, click here to see some shops at LowYat Plaza or PJ Digital Mall monthly promotions for notebooks. 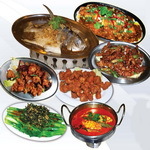 As you can see here at below pic that i have chosen C-Zone Sdn Bhd. I suggest that you open all the other companies' pdf files to do a comparison. When you left click your mouse at the (723kb), a box will pop up with a pdf file. Press ok. This 13" Lenovo S300 shown below has very good reviews online and it was sold at RM1199 during launching and i had just bought one at Lazada.com for RM899 two days ago after Googling around a couple of days. It is cheap because it comes with FreeDos operating system instead of built in Windows. 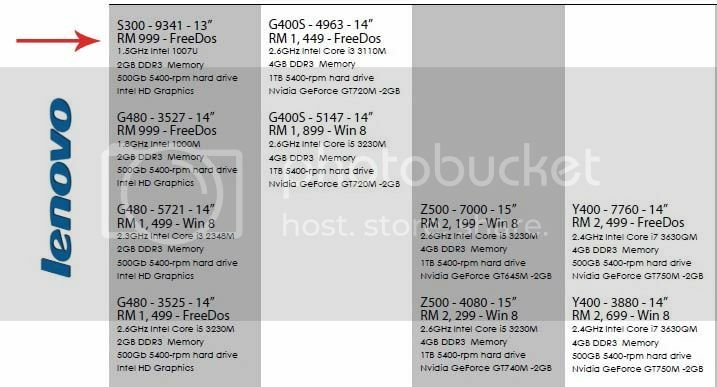 If you have an old unuse laptop or pc that has genuine Window certificate, you can use it for this laptop and save hundreds of bucks or else you can always go for free trial Windows 7 up to 120days or 90 days Window 8 before deciding which OS to purchase. If you are used to carrying tablet. This Asus X201E-KX178D -11" is lighter than the above unit and is a good buy too ( of course you got to compromise with a smaller screen ). Check this Youtube video. I chose the search result with the pointing arrow as shown below. Click into the " 3 reviews " and you will come across this as shown below. So i was convinced that at the price of RM899, there is no doubt that this notebook is a worth buy. But, i still need comparison for better prices ! 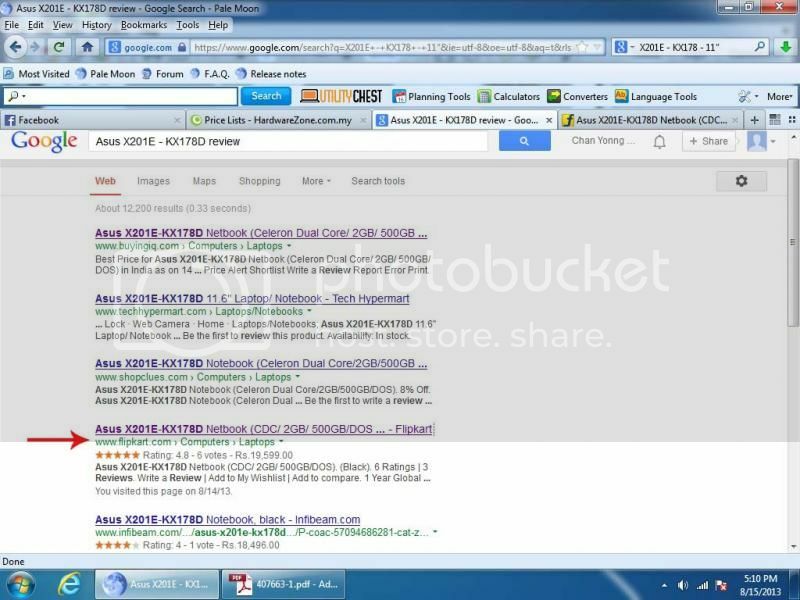 Let's do another Google search just like earlier and delete " review" to replace with " Malaysia price " as shown below. 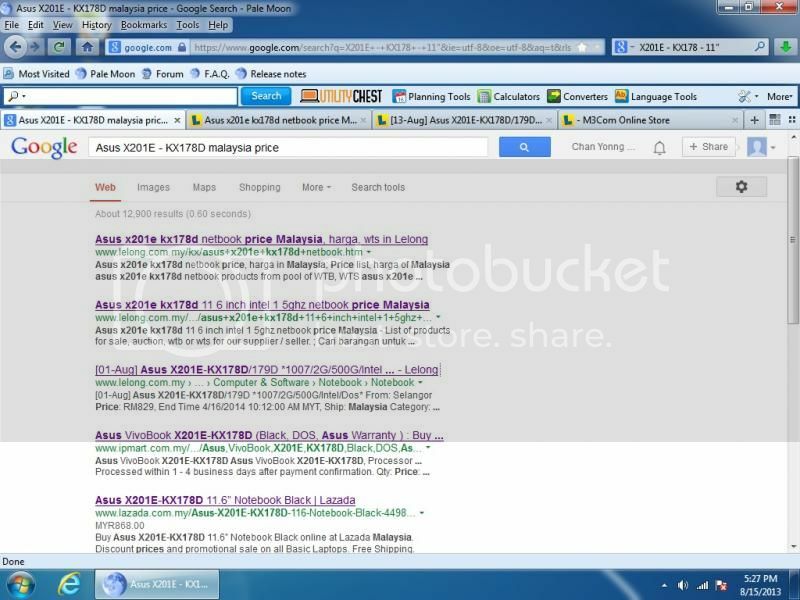 You can find prices even cheaper than RM899 if you take your trouble to Google around. Note : Always be extra careful when buying online. Buy from reliable sources. We can make your slow laptop fast from as low as RM28 ! You may consider to sell it to us too. We have got the best resources with good and branded notebook for custom dissertation help uk services. Many resources they are chosen to introduce the following assignments and note book articles for all of them.